The Possibility of Subconscious Auditory Effects in Audioworkers - A Case for Renewing Humility and Wonder in the Field of Professional Audio | Tape Op Magazine | Longform candid interviews with music producers and audio engineers covering mixing, mastering, recording and music production. Subconscious Auditory Effects (SAE) is a term I have cobbled together to encapsulate a broad range of phenomena in this barely-studied field of inquiry. An SAE is any measurable effect on a person caused by a sound, or change in sound, that is consciously inaudible to that person. We all know that there is a threshold that separates conscious perception from unconscious intake of sound. In our everyday lives we experience that threshold as we naturally filter out environmental noises and focus in on important sounds - a single voice in a crowded restaurant, for example. We also tend to stop hearing unimportant noises over time - something like a refrigerator only making itself known when it shuts off and we suddenly notice the absence of its drone. These are examples of consciously audible sounds that slip in and out of our perception, a fascinating phenomenon in its own right, but they are not what I want to focus on here. Instead I’m interested in the effects of sounds (or differences in sound) that (1) are consciously heard by some and not by others and (2) sounds (or differences in sound) that no one can hear consciously. Anyone who has trained their ears to perceive sounds that were previously outside their conscious awareness knows that the threshold of auditory perception is a fluid one. If you remember the time during which you could start to reliably hear, say, a small EQ change (maybe 1dB, or .5dB) within a musical mix, then you know that it is just a matter of time spent listening intently before the indiscernible becomes consciously heard. 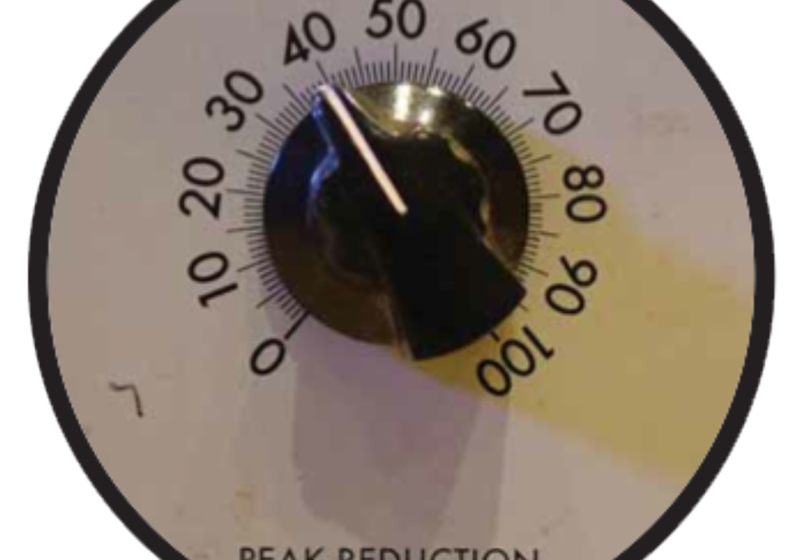 We tell stories of the great audio engineers who reliably notice .25dB changes in level or some other really small change. This refined sense of hearing becomes a point of pride and a sign of mastery. Put in your 10,000 hours and you too can become an “expert set of ears.” The difference of audibility between experts and regular people will be important as we look at SAEs. Then there are those sounds that no one can consciously hear. Examples include ultrasonic frequencies above the 20khz range, sub-sonics that lie below 20hz, small levels of noise within a soundscape, electronically generated harmonic distortion or intermodulation, as well as a whole host of small changes in volume, tone and dynamics that are just too small for anyone to detect consciously. Whenever a sound lies outside our conscious perception, the only way we can come to know whether it has an impact on us - and, if so, what kind of impact - is through investigation of subconscious responses to those sounds. However, as an area of scientific investigation, SAEs rarely get studied and our field remains flush with unanswered and unstudied questions about if, when, and how sounds impact us subconsciously. The reasons that so many unanswered and unstudied questions persist in our field are actually pretty obvious. One glaring reason is that the utility of this area of research is questionable, though there are exceptions in deafness studies and, just recently, there has been a renewed interest in bone-conducted ultrasonics that are being used in new technologies like Google Glass. But studies conducted for pure curiosity’s sake, or to unravel questions within the audio community, are rare. Another obvious reason for the lack of research is the expense, equipment and expertise needed to carry out studies of subconscious auditory perception. Nowhere is the inconvenience of these studies more apparent than when looking at the role of Blind ABX Testing in auditory studies. In an ABX test, one knows that A and B are different and is asked to match the unknown X to either A or B, as X is identical to one of them. According to Wikipedia - “an ABX test is a method of comparing two choices of sensory stimuli to identify detectable differences between them.” This definition works pretty well, however, ‘detectible’ is a very problematic word because ABX tests look specifically for conscious recognition from the subject (can you hear it?) and are unable to account for subconscious effects, which would require probing our bio-chemical-electro-nervous system responses with sophisticated measurement tools like EEG, EKG and MRI tests. Let’s compare these two kinds of tests. These are two very different kinds of tests, yet in our small community of audio-workers there is a tendency to gloss over the fact that these tests set up very different listening experiences and look at very different phenomena. If we as a community continue to fail to make that distinction, we are going to continue to turn a blind eye toward a wide swath of fascinating, unknown and untested phenomena in our professional area of interest. So, I want to pause and make my first request of the audioworker community. REQUEST #1: When talking about a Blind ABX Test, please add a qualifier such as “measuring for conscious recognition” so that we know specifically what's being tested. The most interesting difference between ABX Testing and testing for SAEs is that the two tests tend to ask us to use different modes of listening. As audioworkers we easily recognize the distinction between what I call close discernment and global listening. 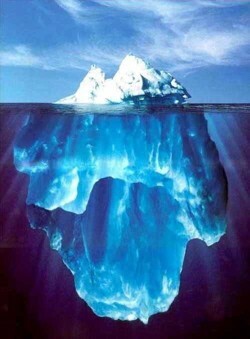 In close discernment we focus in like a microscope and listen to specific elements (do you hear that? ); in global listening we pan wide to hear the whole and form general impressions and emotional responses (how is it hitting you?). Early on in our careers we try so hard to make close discernments that we can find ourselves struggling to return to the seemingly carefree days of global listening, but the best engineers will eventually find a way to switch between these modes at will. Some of us eventually become capable of doing both types almost simultaneously, and most of us have developed little tricks for getting from one to the other. To trigger global listening we might seek different environments where we can relax - a cigarette in the hallway, an oceanside drive, a bottle of wine on the couch at home. To focus in and do close discernment we might turn the volume way down and lower the lights, or put on headphones and close our eyes. We know that true masters use close discernment like a tool to achieve global results that satisfy their general aesthetic sensibility. This general sensibility is not well understood; it’s in the realm of taste, existing almost like a subconscious radar searching for a certain ineffable vibe or mojo. We can’t, and don’t, explain “it,” and talking about “it” usually sounds rather unscientific. But what boggles and bothers me is that even through we know that close discernment is just one aspect of our work, we have thoroughly embraced Blind ABX Tests as the gold standard of auditory studies. And we express almost zero interest in any scientific investigation into global listening and SAEs. And I’ll go so far as to claim that as a professional community, we express disdain for the idea that there is something measurable going on subconsciously as we listen. Now, as experts who have trained our ears, we know that a vast majority of people can’t hear most of the small differences that we can hear, yet we still bother to execute those small changes because we believe that indiscernible changes in sound still impact listeners who can’t hear them. This is not belief in magic; this is the belief that even though someone can’t consciously pick those differences out in an ABX Test something will still register on some level. We probably don’t really realize that we’re being this sophisticated, but what we mean when we say on some level is that consciously inaudible differences will register with people subconsciously. I’ve heard more than a few audioworkers say that they work in the realm of the subconscious of the listener. Yes, much of what we do is to generate SAEs in listeners, and we charge good money for it. We fully accept that our audiences could never pick out many of the differences we hear in an ABX Test, yet when it comes time to talk about what matters in audio we often trash the idea that anything we can’t consciously hear could possibly “matter.” Essentially what we assert as a community is that the only Subconscious Auditory Effects that really matter are those that fall within the narrow bandwidth between what regular people can’t hear and what we experts can. And so we have arrived at my central problem: If we actually charge money to make small changes that most listeners can’t consciously discern because we think it’ll impact them anyways, perhaps as audioworkers we should be open to the possibility that we, too, are impacted by sounds we can’t discern consciously. Think about it. We tweak that compressor on the vocal to get just 1dB more reduction on the verse or we open up the “air band” by .75dB and expect to get paid for it, but we wont accept the possibility that there are things impacting us subconsciously? We know that relaxing and just listening to one thing for an extended period of time is essential to making the most important aesthetic judgements, and we talk in the most vague terms about global listening, but we are somehow immune to Subconscious Auditory Effects? Doesn’t that seem a bit overly confident? Even hubristic? You may know a whole different group of people than I do, but my general impression is that this hubristic attitude is endemic within our small community. And what is most saddening to me is that this hubristic attitude shuts down really interesting questions and the kind of freewheeling curiosity that I really wish to see more of among my colleagues. The pinnacle of this hubristic attitude within the audio-worker community is indeed the hegemonic reverence for the ABX Test. As we noted above, those tests are cheaper and easier and therefore more common, but those tests also work to affirm that expert listeners have an advantage over non-experts. Yes, one person can reliably match X to either A and B and they’ve get the proverbial seal of ‘expert’ stamped onto their proverbial forehead, but if this expert can’t make out a difference, then - well - that difference simply doesn’t matter because it’s been scientifically rendered insignificant. The logical conclusion of this attitude is never stated openly, but if it were it’d go like this: if we experts can hear it, it matters; if we can’t, it’s not important. And then we stop right there claiming that we’ve executed the gold standard of scientific research. That’s it - we experts are marginally, but reliably, better than regular people and anything we can’t hear is insignificant - end of story. For me and a few others, however, this is not where auditory science stops; it’s where it begins. When an expert can’t consciously discern a small difference, we haven’t discovered scientific insignificance; we’ve discovered where the threshold of conscious perception lies for that expert. And that discovery should spur us on to wonder (yes, wonder) what - if anything - is going on in that expert subconsciously. It’s time to step back and ask ourselves what an inquiry into Subconscious Auditory Effects might reveal, even if no one ever manages to conduct such a study. Astronomers don’t stop wondering about the Universe when research funding dries up, so why should we stop wondering about our unknowns just because they don’t get tested? Another big problem with the ABX testing paradigm is that it really doesn’t tell me anything I don’t already know as a person who wakes up every day, makes some coffee, and essentially begins a unending series of AB tests on myself as an audioworker. Can I hear a difference between A and B? Come on - we all pretty much know what we can and can’t reliably hear consciously. We stumble at times and taste a bit of placebo effect, but generally we’re pretty solid. Placebo is not really such a big deal. I tend to laugh about it and move on, knowing I’ve flirted with the threshold between my conscious and subconscious perception. What I do want to know, however, is what’s going on under the hood of my all too human perception. What kinds of sounds are impacting me without my knowing it and how? What happens when I do global listening in which (like some nerdy Zen koan) there is only A and no B? For example, do I love tape because it’s just a nostalgia-inducing machine, or because I go to such lengths to own and maintain a tape machine, or is there a bio-chemical response to the sound itself that’s measurable? If that measurable bio-chemical response exists, is there a digital tape simulator that can replicate such a response (I really wish there were)? An ABX Test can’t answer these kinds of questions, but a study into my subconscious responses might. Hook me up to an EEG or EKG and just let me hang out and listen and we’d start to see what’s really going on. We could see what part of my brain is being activated or deactivated when I listen to tape. The problem is that we can’t (yet) easily hook up an EEG, EKG or hop into an MRI scanner and find out exactly why we might be feeling the way we feel. We can’t really get a scientific sense of our global listening responses to long-term exposure to an audio source or to our responses to sounds we can’t hear consciously. That question requires testing that looks for SAEs. So, while we might not be able to run the tests, we can certainly still ask the questions. However, those of us willing to venture out on the fragile limb and ask questions that go beyond the ABX testing paradigm are often tagged (even slandered to a degree) as susceptible-to-placebo-effect or caught-up-in-nonessentials or silly-audiophiles or even as new-agey-touchy-feely-types…basically whatever the opposite of a tool-wielding expert technician is. And we daring few are also often labeled as non-scientific-defilers-of-empirical-science and sometimes as enemies-of-the-consumer-willing-to-support-those-selling-snake-oil (as if these first-world problems impacting those of us with the disposable income to buy even one microphone are somehow perilously perched on the brink of disenfranchisement). Rather than being respected for asking interesting questions, we get lumped in with fools. And I’ll go so far as to say that within our community of audioworkers, the climate can be hostile enough toward wonderment that some people simply wont go on record as wondering about SAEs. I personally know people who, despite sharing these interests, wont wade into public waters for fear of the sharks. It could be career-damaging within certain circles to do so - an admission that we experts might be more like regular people than we realize. Yet a big part of being a scientifically-minded person is proposing new questions and new studies to answer them. And when those studies aren’t possible, those questions need to remain in the category called unanswered and unstudied. That much shouldn’t be confusing. I would also argue - and have laboriously among some of the more entrenched stalwarts of the ABX testing paradigm - that it’s incredibly unscientific to take the subjective observations of many experts in their field and dismiss them based on adherence to one type of testing that doesn’t even test for the kinds of things these experts are talking about (1). REQUEST #2: Please respect your colleagues who are willing to ask questions about Subconscious Auditory Effects and please don’t confuse the results of ABX Tests with evidence that Subconscious Auditory Effects don’t exist. I wonder what could be so generally abhorrent about admitting that (a) audio might be affecting us in ways that even we experts don’t consciously perceive and that (b) we don’t really have the scientific evidence to prove that it isn’t? Is it really just merely the possibility that we experts are more like regular people than we realize? Is the margin of auditory perceptual abilities that separates us experts from non-experts so small when compared to the vast realm of unstudied SAEs that some of us are genuinely a bit frightened? Even a bit defensive? I don’t know, but I do know this: ABX testing and the accompanying dismissal of inquiry into SAEs have dominated our field for a long time, and we have accepted a lot of technology, perceived wisdom, engineering practices, equipment testing norms and more based on it. ABX Testing truly has formed the core of perceptual studies on which our current audio paradigm is based. And then there is the whole world of equipment reviews - probably the most widely read “literature” in our materialistic consumer-based society - a “literature” that regularly uses ABX or AB testing (the so-called “ blind shoot out”) as a core testing foundation. I could go on about all the different aspects of our audio world that have been shaped directly by the hegemony of the ABX testing paradigm, but it’s not big news and I think you’ve got the general picture by now. And it bears mentioning the disdain we audioworkers have for audiophiles, a group who are seemingly really interested in both pushing their own perceptual abilities and who are undergoing, as a hobby, informal life-long experiments in global listening and SAEs. I’ve come to know more audiophiles recently, and I can definitely say this: we audio-workers base a strong prejudicial disdain toward them based on the behavior of the most outspoken extremist audiophiles. What I have also learned is that audiophiles are actually flirting with the bleeding edge of audio technology, digital and analog. You want to hear the most stable DAC on the market, or the most linear speaker technology? - well, don’t go looking at the pro-audio retail catalogs. It’s also worth noting that many of the most respected brands in pro-audio speaker and amp design began as hi-fi companies who were pushing the boundaries for the audiophile market first. Yes, we audioworkers love to dis the audiophiles, but if we stop ourselves and take a look at where that disdain is coming from, it’s obvious that we are just imposing the dominance of the ABX test on them as well: “Hey, if you can’t consciously discern it in a quick comparison, then you’re high as a kite on placebo effect.” We especially like to dis expensive speaker cables and AC cables, though there is no scientific evidence suggesting that those products aren’t having some SAEs on listeners. I’m not claiming that $1000 AC cables are or should be important, but I am saying that we don’t really have scientific evidence that they don’t do something on the subconscious level. Translation: I only bother with audible changes that are bigger than the ones you’re discussing. Translation: I am not susceptible to placebo effect. I am not an audiophile who buys snake-oil. Translation: You’re just talking about unimportant non-essentials. What has always bothered me about these stock responses (aside from the fact that they’re stock) is that, in essence, they are a wiggling-away from discussing that delicate threshold between our conscious and unconscious perception. Yes, we audioworkers can be rather dismissive of both threshold phenomena and of SAEs - unless, of course, those fall in that narrow bandwidth between regular and expert perception where we can charge good money for tweaking them. REQUEST #3 - When deciding to bow out of conversations about the threshold of perception or about Subconscious Auditory Effects, simply state that you’re not that curious about those topics. Try not to imply that those of us who do engage in these conversations are doing something negative. There is one area in which we audioworkers are a little more open as a group, and that’s when we talk about how we feel about sound after very-long-term exposure. As an example, we hear audio-workers say things like, “At first I loved those speakers, but after I used them for a few months I found that I was feeling tired (or annoyed, or edgy, or bored) at the end of the day.” Or, “I used to work on a [certain brand and model] console, and I could always had more fun and worked faster on that board for some reason.” Or, “I just didn’t get along with that room, and I don’t know why.” Our very-long-term preferences are an interesting area to think about, because we’re not making conscious comparisons in audibility, but are instead forming lasting impressions based on extended exposure to a sound environment - more precisely: we’re not trying to have a response. Until we’ve got EKG monitors in our phones (and this is quite likely in the not-so-distant future) we can only really guess at what’s causing these long-term impressions. We really do need to look into our subconscious to know why we might be experiencing fatigue or elation around long exposure to certain sound environments. Certainly these preferences are rather individualized, suggesting a whole area of unanswered and potentially fascinating questions. Subconscious Auditory Effects aren’t imaginary; we just lack proper scientific research into them. We as a community are left holding a bunch of unanswered and untested questions about our area of professional expertise, and my hope is that we remain vibrantly curious, even filled with wonder, about all that we don’t know yet. If we’re to remain humbly inquisitive, we as a community of professionals must begin to embrace the fact that we sail on waters whose depths have yet to be properly sounded. REQUEST #4: Try to remember that, even as an expert audio-worker, it is not only OK but also a sign of scientific integrity to ask open questions based on curiosity and wonder, even when those questions might run against the grain of current dogma. - (1) This point was made largely by Chad Clark in a conversation and I adopted it for this article. - I want to extend thanks to many other people with whom I've discussed these topics over the past year or more, largely on Facebook, and largely in a recreational and playful manner. In no particular order, and probably with omissions: Brad Williams, John David, Chad Clark, Eric Ambel, Alex Maiolo, Heba Kadry, Eric Tischler, Brian Bender (always lovingly skeptical of hi-res digital), Lee Scoggins (makes audiophilia appealing), John Klett (who really knows things), Chris Athens, Mike Caffery, John Garcia, Matthew Agoglia, and my two cats who can reliably hear audible tones up to 64khz. Allen Farmelo is an engineer and producer and the founder of Butterscotch Records.